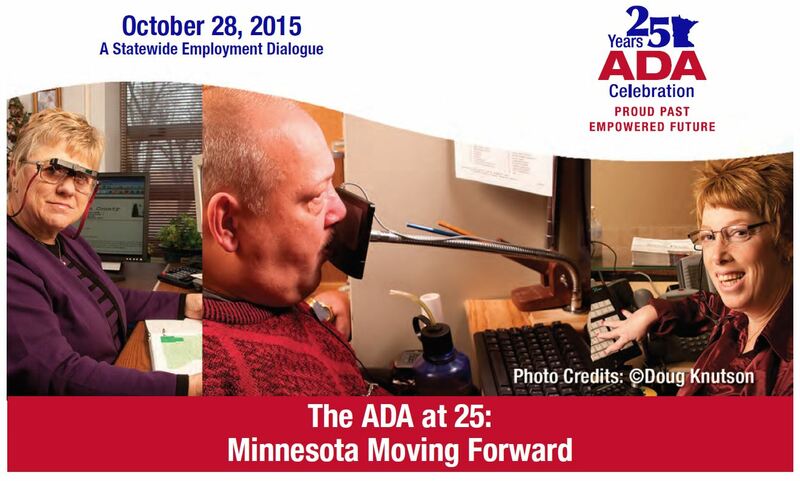 Greater Mankato Growth is proud to partner with the Department of Social Work at Minnesota State University, Mankato for a special viewing of the live Twin Cities Public Television airing of The ADA at 25: Minnesota Moving Forward on Wednesday, October 28 as part of National Disability Employment Awareness Month. The focus of the program is on recruiting, hiring, promoting and retaining employees with disabilities. Former U.S. Senator Tom Harkin, the Senate sponsor of the Americans with Disabilities Act, will be the featured speaker during this statewide televised program sponsored by the Minnesota State Council on Disability (MSCOD). After the live televised program there will be a community discussion about the ways to enhance employment opportunities for people with disabilities in the Greater Mankato community.